Jan 20 (IPS) – Anyone with a laptop and a mailbox could create their own bacteria or virus, for good or ill, thanks to a rapidly evolving new technology called synthetic biology, activists warn. 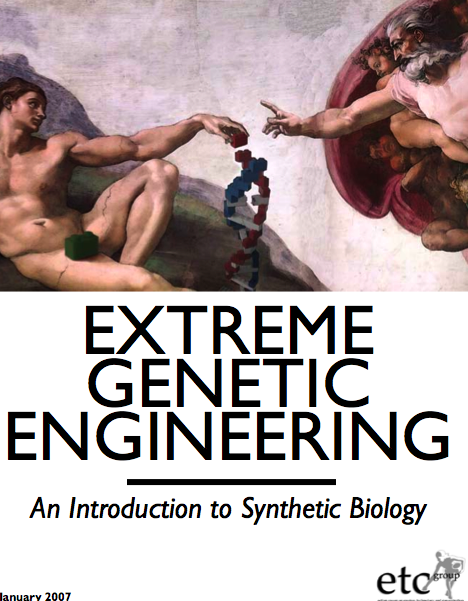 Companies are jumping into synthetic biology and beginning to commercialise and patent bits of constructed DNA and other molecules that can be used to create living machines in the near future, the Canadian-based ETC Group warn in their report “Extreme Genetic Engineering: An Introduction to Synthetic Biology” which will be released at the World Social Forum (WSF) in Nairobi, Kenya Saturday. “Today, scientists aren’t just mapping genomes and manipulating genes, they’re building life from scratch,” said Pat Mooney, the executive director of ETC Group. “And they’re doing it in the absence of societal debate and regulatory oversight,” Mooney said in a statement. “Synthetic biology has the potential to transform society,” says Robert Holt, a research scientist at the Genome Sciences Centre of the British Columbia Cancer Research Centre.